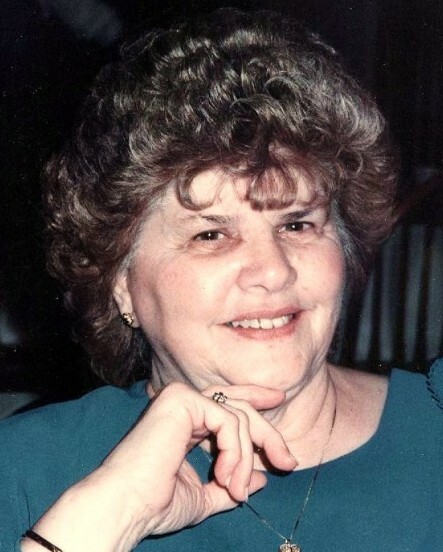 Patrizia (Pat) Barbara Corapi Moccia, age 87, of Orange, CT, beloved wife of Mario Moccia passed away peacefully at Bishop Wicke Health & Rehabilitation Center in Shelton, CT on January 27, 2019. In her final days, Pat was surrounded by family and friends who shared memories and colorful stories of past decades spent with her. Pat is survived by her children, Barbara (Tom) Rhoads, Mario (Edie) Moccia, II, Andrea (the late Tom) Rebollar, and James “Jim” Moccia; grandchildren, Kristyn (Paul), Jaclyn (Brian), Michael (Amanda), Mark (Alexandra), Kaitlyn (James) and Vinny; great-grandchildren, Joey, William, and Claire; and her sister, Norma Hitchcock. Pat was born in 1931 to the late James and Gladys Corapi and grew up in Washburn, Maine, where she enjoyed ice skating in the cold Maine winters and dancing in the thawed out summers. After moving to Connecticut in the late 1940s, she converted to Catholicism and met the love of her life, Mario Moccia, who won her affection with a magic trick. Pat and Mario shared 67 years of a strong, committed marriage that saw four children, six grandchildren and three great grandchildren come into the family. Pat was a devoted and loving wife, mother, grandmother, friend, and a proud great grandmother who would do anything to keep her family happy, healthy and well fed. Her love was infectious, and her family will remember her as kind-hearted, supportive and an example of unconditional love as the heart of the family. Pat was a dedicated parishioner of Holy Infant Church in Orange, CT, a long-time patron of the High Plains Community Center in Orange, and an avid card and bingo player. She passionately enjoyed helping others and being part of her community. A Mass of Christian Burial will be celebrated on Tuesday, January 29, 2019 at 11:00 a.m. at Holy Infant Church, 450 Racebrook Rd., Orange, CT (MEET DIRECTLY AT CHURCH). Burial will follow at Orange Center Cemetery, Orange Center Rd., Orange, CT. The family is being compassionately cared for by the staff of CODY-WHITE FUNERAL HOME. In lieu of flowers, memorial contributions may be made to St. Jude Children’s Research Hospital at https://www.stjude.org/donate.